Carry a little piece of the wizarding world every where you go! 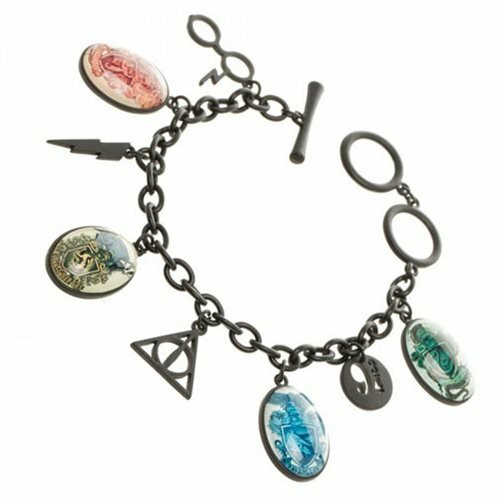 This Harry Potter Charm Bracelet includes charms for the Hogwarts houses, lightning bolt, glasses, Deathly Hallows symbol, and more! A magical gift for any Harry Potter fan in your life! Ages 14 and up.